The United States has staged a boycott of a UN General Assembly (UNGA) meeting lead by Serbia's former foreign minister. While Washington expressed anger, 82 other countries took part – making it the most participated debate in UNGA history. The debate is in response to the International Criminal Tribunal for the Former Yugoslavia (ICTY) Appeals Chamber, which acquitted two former Croatian generals previously sentenced to prison terms for crimes including murder and forced deportation. In 2011, Ante Gotavina and Mladen Markac were convicted of perpetrating the expulsion of some 200,000 Serbs from their homes in Croatia in 1995, and sentenced to 24 and 18 years in prison, respectively. 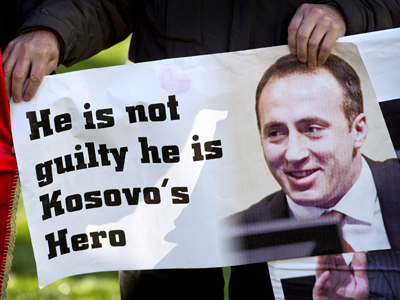 But the two men were released by the ICTY just one year later, with appeals judges stating that the 2011 trial chamber had “erred in finding that artillery attacks” ordered by the two men “were unlawful.” Many Serbians, including the country’s president, accused the tribunal of making a political decision rather than a legal ruling, further fueling Belgrade’s anger toward the court. Since it was developed in 1993, the war crimes tribunal for the former Yugoslavia has indicted 161 people for crimes associated with the wars that overthrew the Yugoslav federation; 94 of these prisoners are Serbian. Although 15 people have been acquitted, several dozen suspects remain on trial. But the US disagrees with Serbia’s motivation for Thursday’s meeting, claiming that former Serbian Foreign Minister Vuk Jeremic – who is serving as president of the General Assembly – is exploiting the debate to downplay Serbia’s role in the Balkan wars. "The United States strongly disagrees with the decision of the president of the General Assembly to hold an unbalanced, inflammatory thematic debate today on the role of international criminal justice in reconciliation and will not participate," said Erin Pelton, spokesperson for the US mission to the United Nations. "We believe that ad hoc international criminal tribunals and other judicial institutions in Rwanda, the former Yugoslavia, Sierra Leone and Cambodia have been critical to ending impunity and helping these countries chart a new, more positive future," she continued. “regrettable” that some important countries like the US did not participate. Jordan and Canada also joined the Washington-led boycott. 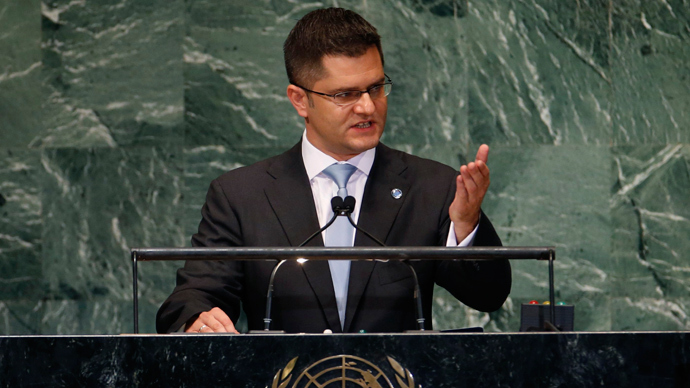 Several UN diplomats previously accused Jeremic of using his position to promote his own career and home country. 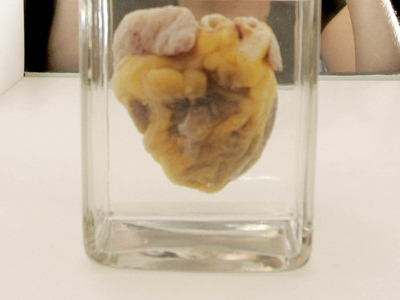 “This is obviously a very delicate topic, international criminal justice," Jeremic said, adding it was the first time the General Assembly had debated it. There are "lessons to be learned with the aim of having a more perfect international justice in the future," he added. Meanwhile, UN Secretary-General Ban Ki-moon defended the war crimes tribunals and the International Criminal Court. "The system of international criminal justice has...given voice to victims and witnesses," Ban said. 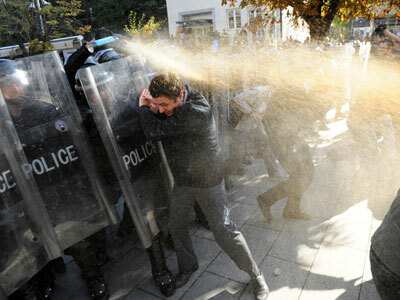 The situation in the Balkans is still tense, with Croatians and Serbians rarely seeing eye-to-eye. On Monday, tens of thousands of Croatians demonstrated against the introduction of the Cyrillic alphabet on streets signs throughout the town of Bukovar, the location of a 1991 siege that started the 1991-1995 war. Serbians make up around 35 percent of the town’s population. According to current Croatian legislation, ethnic minorities have the right to use their native languages for official purposes. Serbia’s relationship with Washington is likewise anything but peaceful, as the two countries continue to disagree on the issue of Kosovo’s independence. Kosovo declared independence from Serbia in 2008. Although the act has since been recognized by around 100 countries, including the US and most EU member states, it has been strongly rejected by Belgrade. Serbian Prime Minister Ivica Dacic said on Monday that the US would likely block it from a potential land-swap deal with Kosovo, which he claims could end the conflict over ethnic Serb enclaves. "I actually think that Serbs and Albanians could easily agree to a land swap. But that would not be acceptable to Washington,” Dacic said in an interview with Frankfurter Allgemeine Zeitung newspaper. 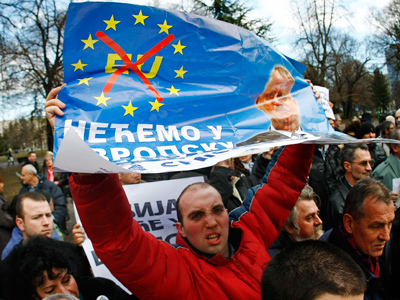 Serbia and Kosovo must resolve their differences as a prerequisite to joining the European Union.